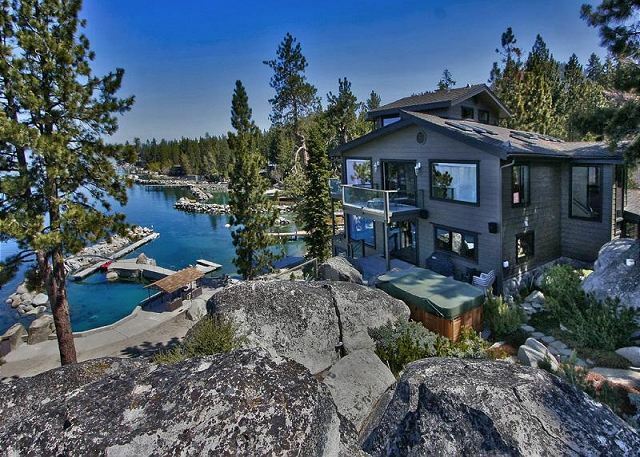 The deck has a Hot Tub with panoramic views of the lake. 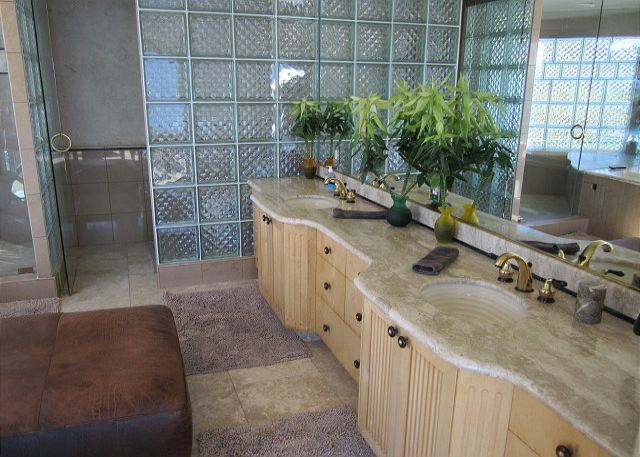 Large master bathroom with his and her sinks and jacuzzi tub overlooking the lake. 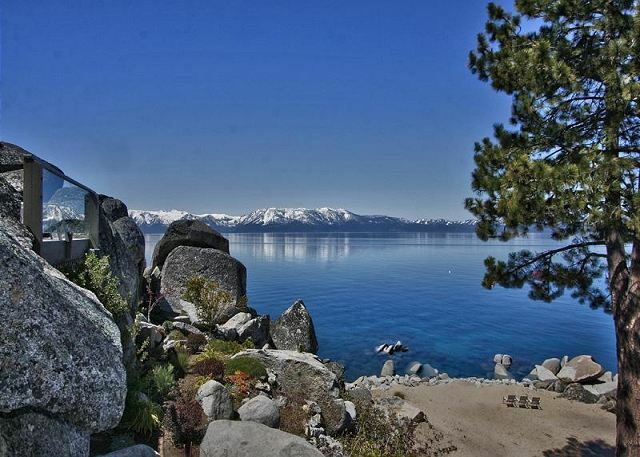 Spectacular show place Lake Tahoe residence with lush gardens, free flowing water falls and breathtaking panoramic views. From the first step off the elevator into the beautifully designed courtyard you are entranced. 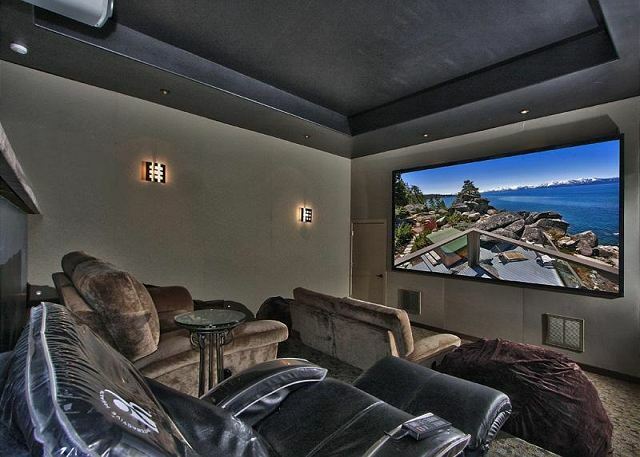 This stunning home features all the luxury finishes you should expect; exotic wood, had crafted tiles, quarried marble and granite, magnificent custom cabinets, a state of the art theater, and a truly awe inspiring master suite. 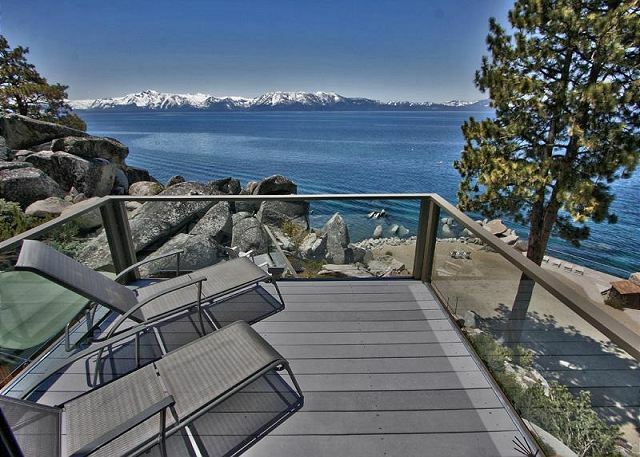 This home is an architectural masterpiece situated on 10 feet of sandy beach in an exclusive community on the Nevada side of South Lake Tahoe. 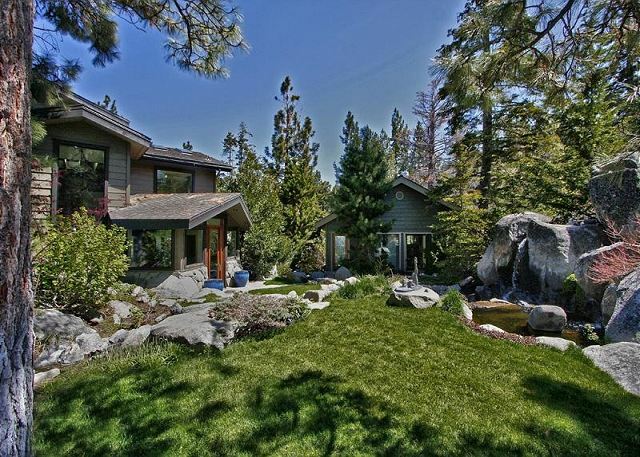 Quality workmanship and expansive windows frame vistas of Lake Tahoe. 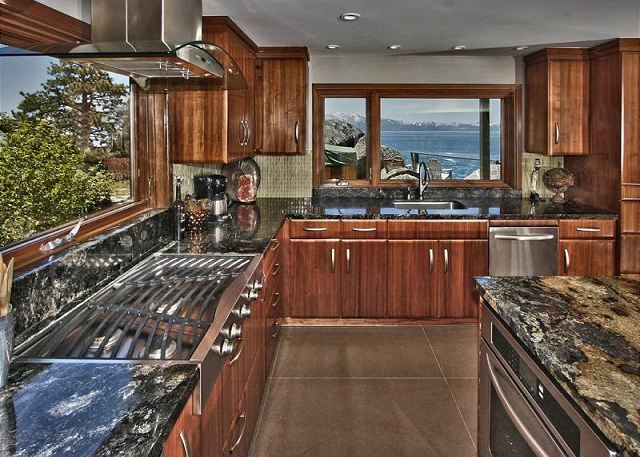 A spacious great room with a large flat screen TV, a dining room that seats 10 gracefully flows into the well appointed kitchen with granit slab counters and a breakfast bar that seats 10 people. 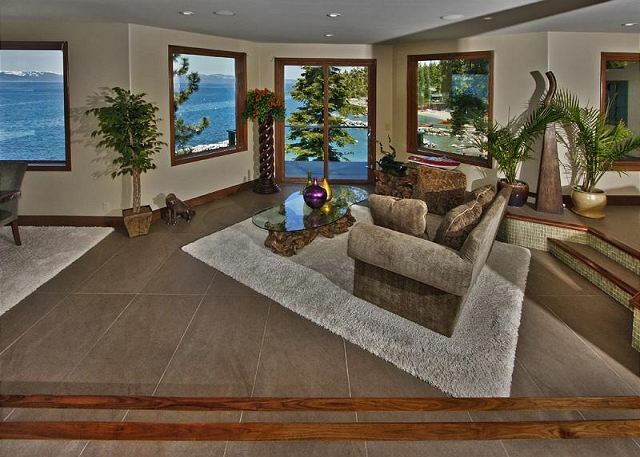 All this living area is with the spectacular view of Lake Tahoe. 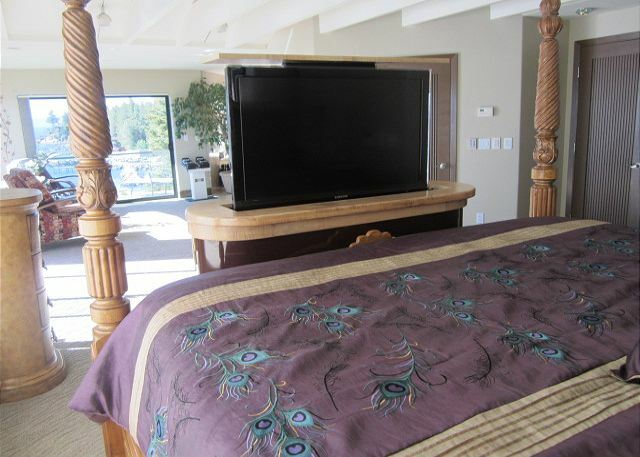 The 10 seater hot tub sits on one of the 4 balconiew that overlook the lake. A staircase leads to the upstairs where the calm serenity of the master suite is with a sitting room and a balcony patio overlooking the lake. 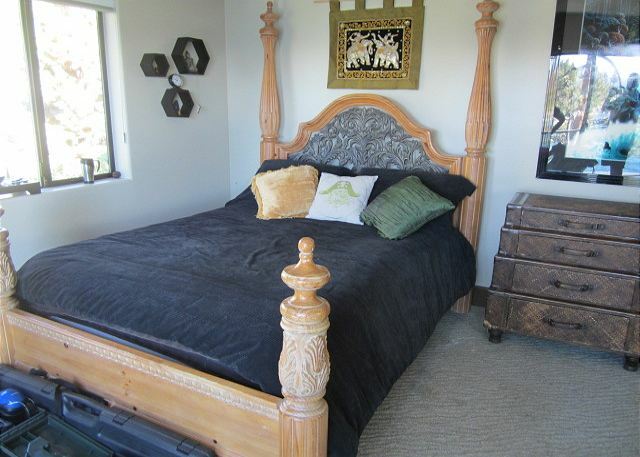 Luxuriate in the huge soaking tub or relax i n the large steam shower. 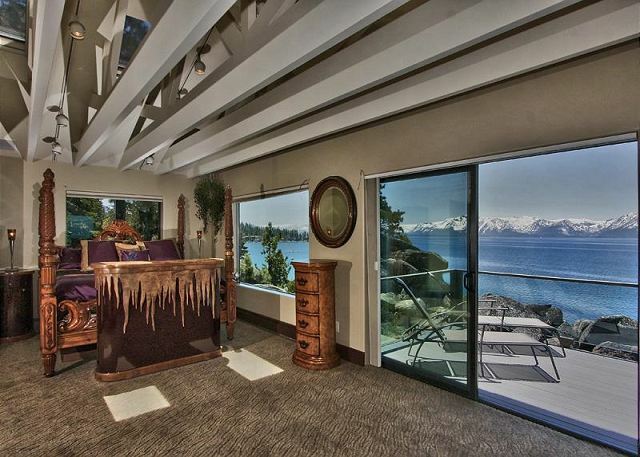 The other guest room on this floor also overlooks the lake. On the lower level is a spacious movie theater with a screen that covers the wall and seats 12 people comfortably. 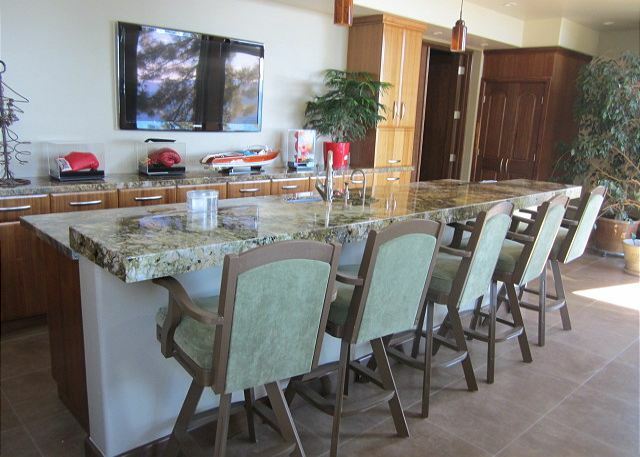 There is a fabulous wet bar and a full bathroom. 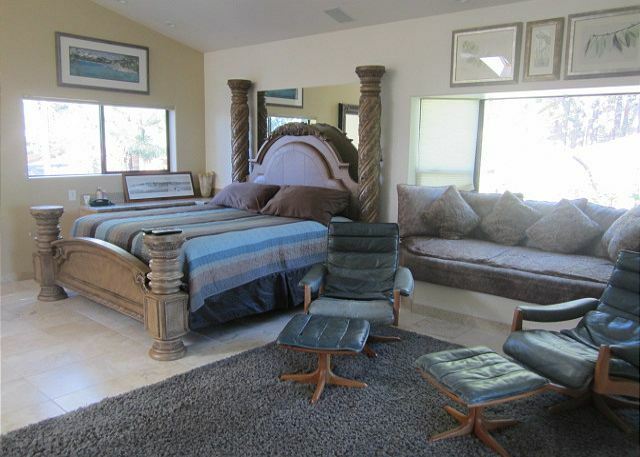 The second private master suite has a king bed, full kitchen and full bathroom. The home sits on it's own private beach. A beach volleyball court is available and numerous coves to settle down and sunbathe. Bring your boat and tie up to the private bouy available. 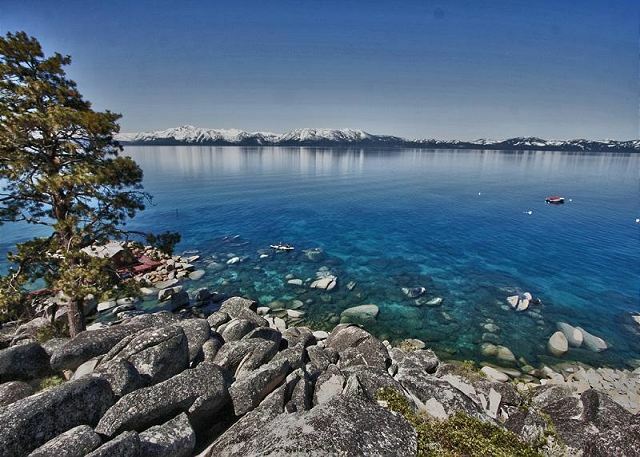 There is direct access to Lake Tahoe and a wonderful alcove to enjoy the water. 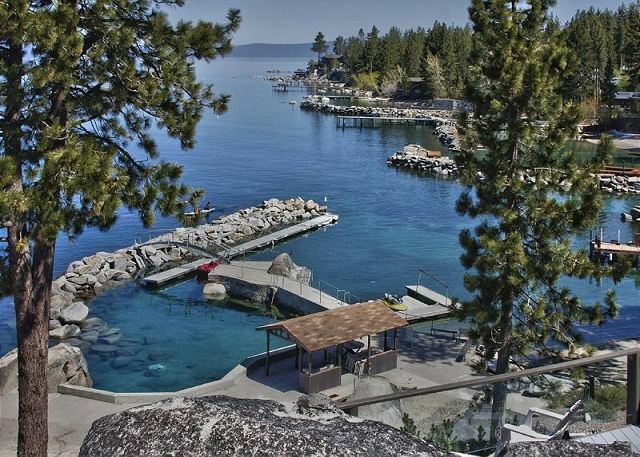 Just steps away from you own private beach to sunbathe or take a kayak ride on the lake. 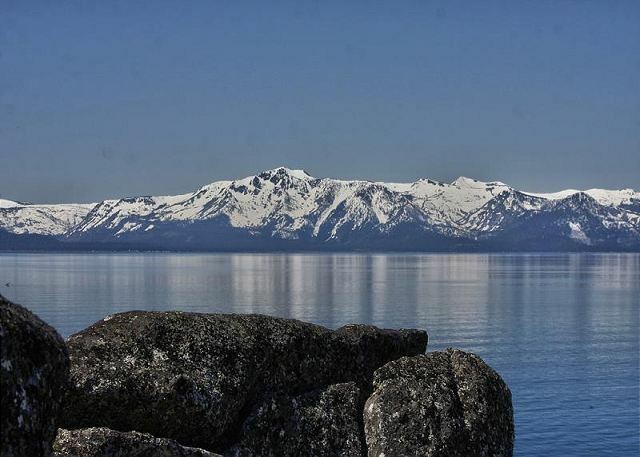 There is nothing else comparable on the lake for rentals of the quality and beauty.